FilmJuice Competition: The hilarious comedy THE WEDDING RINGER is out on Blu-ray™ & DVD July 6. 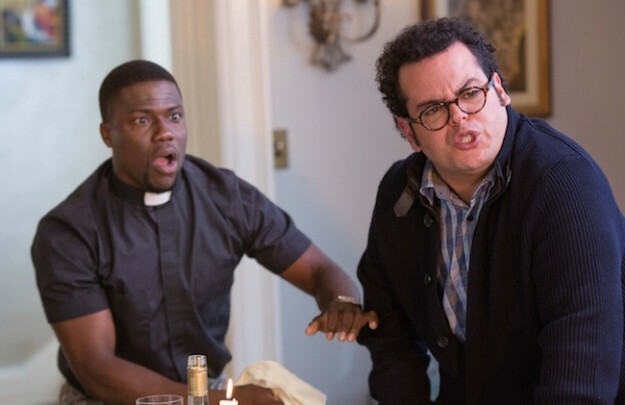 To celebrate, we’re giving away three goody bags containing a Wedding Ringer hangover survival kit, T-shirt, shotglass, mug and copy of the film on DVD. For your chance to win, simply answer this question (entry details at the bottom of page): Which Frozen vocal talent stars in The Wedding Ringer? Kevin Hart (Think Like a Man Too) takes wedding planning to a whole new level of hilarity as the “Best Man” money can buy. 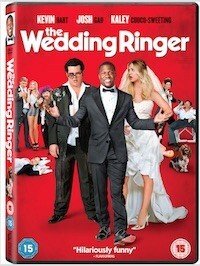 Doug (Josh Gad, Frozen), finds himself without a main groomsman only two weeks before his wedding to Gretchen, played by Kaley Cuoco-Sweeting (“The Big Bang Theory”). Given his time crunch before the big day, Doug hires Jimmy (Hart) to fill in, and an unexpected friendship develops.